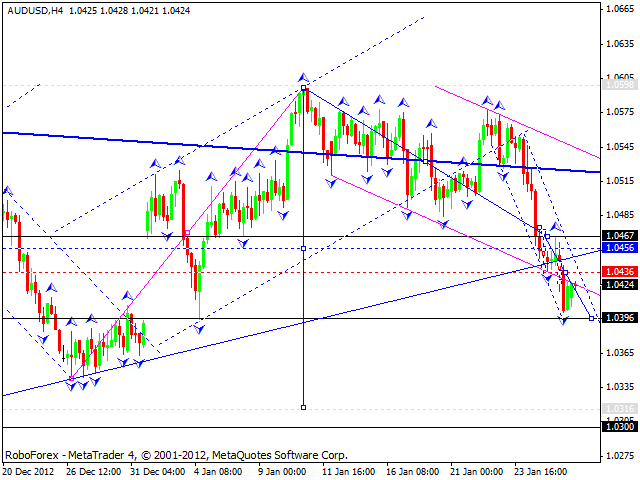 The EUR/USD currency pair broke triangle pattern upwards; the target of this wave is the level of 1.3500. 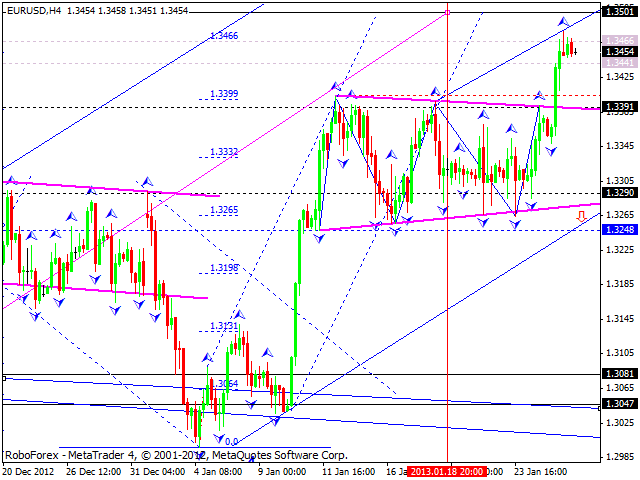 By now the price has already reached another resistance level at 1.3466. I think today the pair may consolidate for a while near this level and then continue growing up towards the above-mentioned target. Later, in my opinion, the pair may form a pivot point for a new correction. 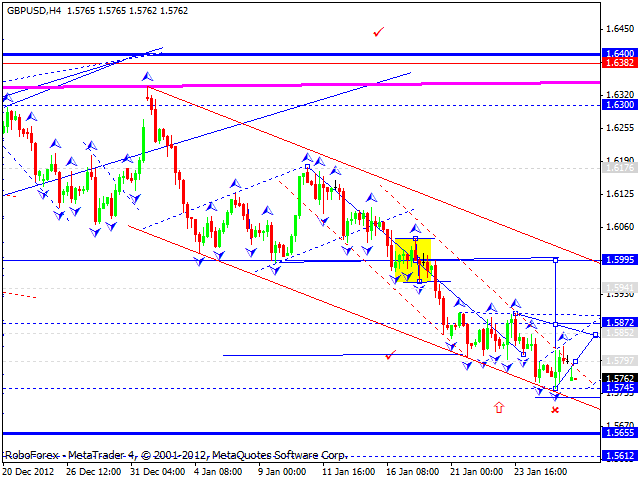 The next target is expected to be at 1.3080. Last Friday the GBP/USD currency pair tried to from another ascending impulse, which may be considered as a continuation one. I think today the price may form a correction towards this impulse and then start a new ascending impulse. The target of the correction is at level of 1.5995. The USD/CHF currency pair reached a local target. 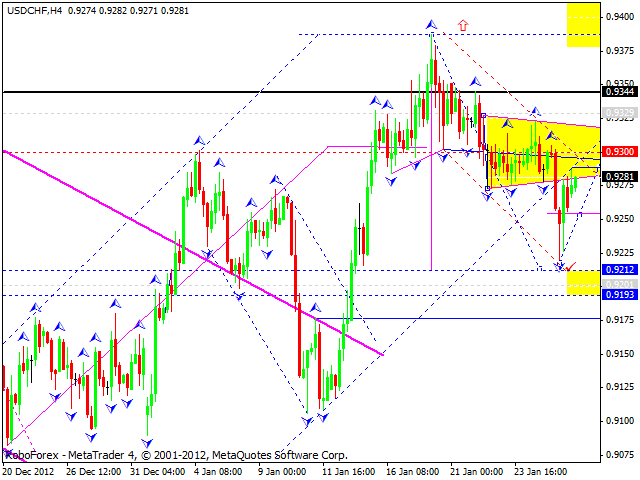 I think today the price may for a new correction with the target at the level of 0.9290. Later, in my opinion, the pair may start another descending structure to reach the level of 0.9220 (at least) or even of 0.9190, and then form a pivot point to return to the level of 0.9300. 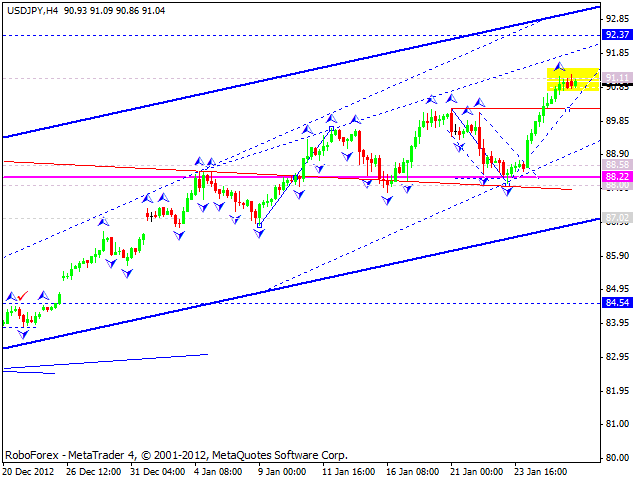 The USD/JPY currency pair continues forming an ascending wave. I think today the price may consolidate for a while at the current levels and continue moving upwards to reach the target at 92.30. Later, in my opinion, the pair may form one more consolidation channel and continue growing up. Australian Dollar reached the targets of the descending wave, but couldn’t form a reversal pattern at the level of 1.0460. As a result, we can see a descending structure and a broken channel. I think today the pair may consolidate for a while near the level of 1.0436, then break this consolidation channel downwards and continue falling down to reach the target at 1.0320. 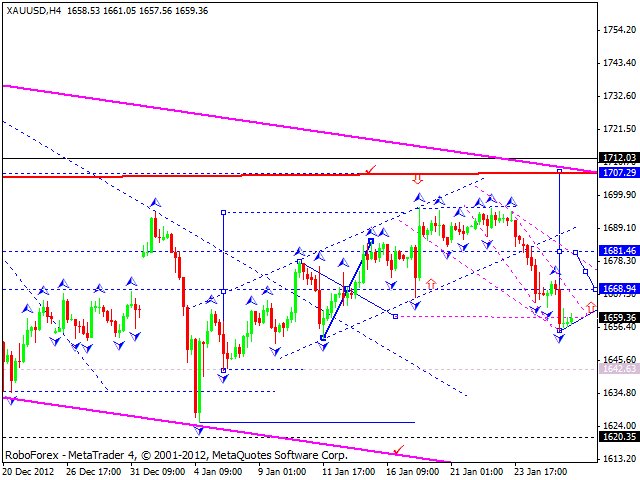 Gold reached the target of another descending structure, which may be considered as the fourth wave of the current correction. I think today the instrument may start forming the fifth ascending structure towards the level of 1707.